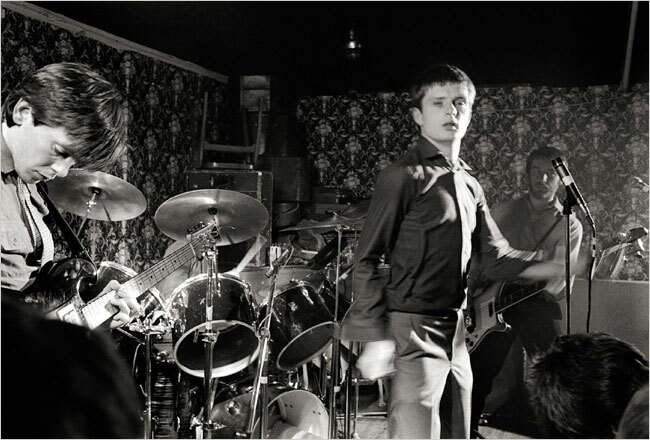 WAIST HIGH: Peter Hook To Honor Ian Curtis. Peter Hook To Honor Ian Curtis. With the upcoming 30 year anniversary of the passing of Joy Division frontman Ian Curtis on May 18, former bandmate Peter Hook has organized a special concert to honor the icon. Peter said: "Everyone's talking about what they're going to do and I think I'm going to be playing some Joy Division songs to celebrate Ian's life on May 18. I mean, we're never going to do it together again, but it just seems right. Especially to do it at the Factory, there's a definite need to celebrate one of the most momentous days of your life." Hooky first performed "Pictures" at the launch of the Factory club with a group of musicians playing as The Light. He says: "Some kid brought 'Pictures' to my attention on a tape as a little snippet of a jam with Ian Curtis. I was playing on it but it was unfinished. Ian always used to say that once you start a song you should finish it, that really stuck with me and I didn't know how this one fell through the net. We finished 'Pictures' and it was a real joy to play because you were playing the old stuff but at the same time, we'd discovered something totally new. I don't normally sing so it was a bit weird at first." Joy Division ended in 1980 following the suicide of their iconic singer, but the three remaining members continued on as New Order until a messy split in 2007. Hooky has gone on to a new musical project, Freebass, with ex-Stone Roses star Mani - and last month launched new nightclub The Factory on the site of the former Factory Records offices on Princess Street. He says the club has been jam-packed since it opened last month - and he puts the success down to timeless tracks that sing to the new generation. He said: "For all us old timers it's nice to bring a bit of our music back. The club's been full since it opened and in a weird way it's like the younger generation have been waiting for it, but it's something we never expected. I did some Joy Division stuff and the young kids were saying how great it was - people our age like me and Mani shouldn't be appealing to young kids but great music is timeless."